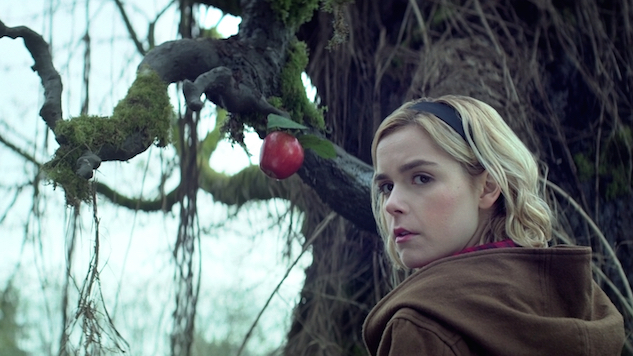 Fresh off the premiere of holiday special “A Midwinter’s Tale,” Netflix has ordered 16 additional episodes of Chilling Adventures of Sabrina, which will air in two parts (Parts 3 & 4). Based on the Archie Comics series Sabrina the Teenage Witch, Chilling Adventures of Sabrina features much of the same creative team behind The CW’s hit, gritty Archie reboot series Riverdale. Aguirre-Sacasa, also chief creative officer of Archie Comics and a former Riverdale showrunner, executive produces alongside Riverdale collaborators Greg Berlanti, Sarah Schechter, Archie Comics CEO Jon Goldwater and Lee Toland Krieger. Mad Men ’s Shipka stars as the titular teenage witch, joined by Miranda Otto, Lucy Davis, Ross Lynch, Michelle Gomez, Chance Perdomo, Jaz Sinclair, Richard Coyle, Tati Gabrielle, Adeline Rudolph, Abigail Cowen, Lachlan Watson and Gavin Leatherwood. Newcomers in Parts 3 & 4 include Jedidiah Goodacre as Dorian Gray and Alexis Denisof as Mary Wardwell’s boyfriend, Adam Masters. The series hails from Warner Bros. Television-based Berlanti Productions. As previously announced, the 10-episode Part 2 is set to premiere on April 5, 2019. Check out Paste’s review of the show’s debut season here.